Learn all about our beautiful planet with this fun and exciting book guaranteed to answer your child’s biggest questions. 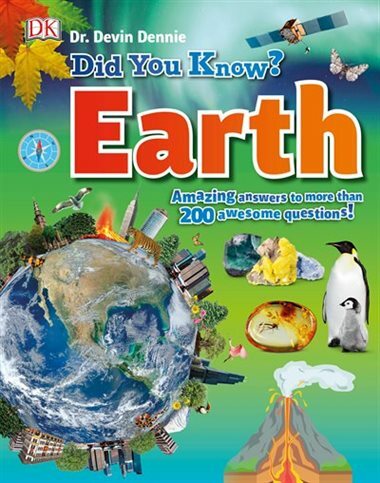 This Earth encyclopedia answers all the probing questions children ask about our planet, in a fun question and answer format. Can you freeze in a desert? How do living things become fossils? What is a biome? Earth explains volcanoes, earthquakes, oceans, space, and much more! It focuses on the subjects that kids really want to know about and the questions they ask, helping them learn new information. Get your children learning with this amazing book, which is packed with fantastic facts for curious minds. This beautiful hardcover book geared towards children is a great way to get children interested in the world around them and why it is so important we do everything we can to protect it. The book covers our planet basics (how did the Earth form, why don’t things float) to the Earth’s surface (sinkhole, fossil, soil) to the Blue planet (waterfalls, icebergs) to the air (seasons, lightning, tornadoes) to living on Earth and why we need to protect it. The pictures are bright and bold with good movement around the pages. It really helps you to follow the content and to keep younger children entertained. The content is perfect for young children, it gives them just enough to spark their curiosity but not too much to overwhelm them. I loved how each section had a true and false block! Some of these really stumped me but we had a lot of fun learning the answers and new facts (like did you know it didn’t rain for 14 years in Arica, Chile between 11903 and 1918!). What is so important about this book is not only the learning around how precious our planet is (and how vital this is to animals and humans) but how we are harming it. One part that stuck out to me the most, was the quote that ‘some scientists think there will be more plastic in the oceans than fish by 2050’. If that doesn’t scare you, I don’t know what will. Seeing that on paper, really helps to motivate you to do more. 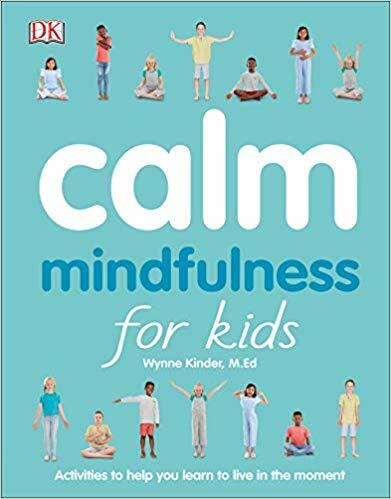 This book provides you with not only an excellent learning opportunity for your child but to also start talking about the little ways that you can make a difference at home. Maybe you can recycle more, walk to school or work, participate in clean up days or even reduce the amount of water you use, start a garden. The possibilities are endless! Do you have a young child who loves the animal world? Who loves to explore and learn new facts? Then DKfindout! is the perfect series for you! These soft cover books are a great resource to children, introducing them a range of topics in a fun and engaging manner. This children’s animal book has everything you’ll need to know about big cats, including lions, tigers, jaguars, leopards, and cheetahs. Find out how big cats hunt, learn about cat myths and legends, discover where they live, and how they move. Packed with information, photographs, and colorful illustrations, DK findout! 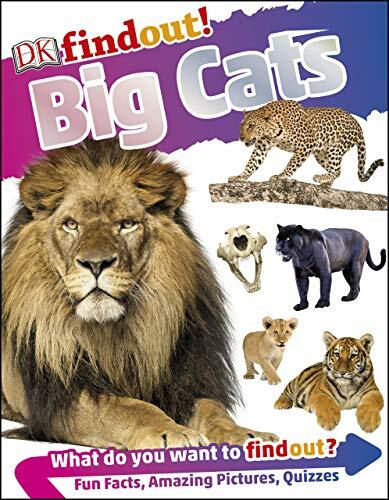 Big Cats is the ultimate kids cat book. 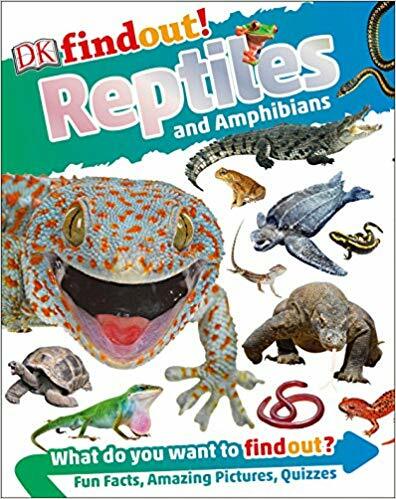 Discover wriggling reptiles, colorful chameleons, slithering snakes, and extreme environments with this exciting book full of amazing images, fun quizzes, and incredible information. Did you know that Komodo dragons can spit venom at their enemies? Can you spot the difference between crocodile and iguana scales? In DK findout! Reptiles and Amphibians, amazing photos show these cold-blooded animals in incredible detail, while fun, kid-friendly text makes it easy to absorb key facts about life cycles, habitats, and what they eat. There is no better gift to give your child then learning. I love supporting them to dive deeper into subject areas that they love. Animals are one of the most popular topics in our house. We love learning about their habits, special traits and facts. The DKfindout! books dive into these topics in a fun and age appropriate manner. We are given just the right amount of information on each page to keep both child and adult engaged and learning. The visual cues and graphics on each page help guide you through the topics. We loved the bold, bright images that helped to bring the animals and their stories to life. One of the best features (and I love this part as it reinforces all of the learning we are doing) is the accompanying website with a wealth of resources, quizzes, videos and more! Not only can you find additional resources on the books you have been reading but also a wide range of additional topics (body, math, science, language, etc..) It is a one stop shop for parents and children! We enjoyed our daily reading with these books over the March Break and can’t wait to discover more in this exciting series! Disclosure: I received copies of these books in order to facilitate this review. All opinions expressed are my own. Written in conjunction with educators, scholars, and religious advisors, this retelling of favorite Old and New Testament stories retains the original feel and poetry of the Bible while appealing to contemporary young readers. Written in conjunction with educators, scholars, and religious advisors, this retelling of favorite Old and New Testament stories retains the original feel and poetry of the Bible while appealing to contemporary young readers. 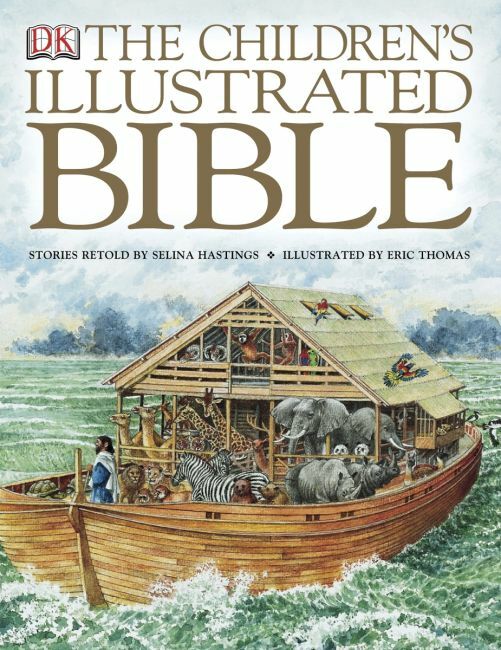 DK’sChildren’s Illustrated Bible features some of the best-known Bible tales, including, the Birth of Jesus, Jacob’s Ladder, Noah’s Ark, and the Resurrection, written especially for children in a clear, easy-to-understand tone. A “Who’s Who in the Bible Stories” section and quotations from the King James Bible, listed by chapter and verse, add even more value to this unique resource. A Bible is a truly special gift that you can give to someone important in your life. I have the Bible given to me at my Baptism in a keepsake box along with another Bible given to me at my Confirmation. It is an important part of my faith and learning about our faith. For children, it is so important for them to understand and relate to their faith in a way that makes sense to them while still staying true to the original stories. They need to be able to see pictures and have the stories told to them in a manner that they understand. The Children’s Illustrated Bible does this perfectly. It is hardcover and roughly letter sized. There is around 310 pages of stories, pictures and facts that help to bring the stories to life. 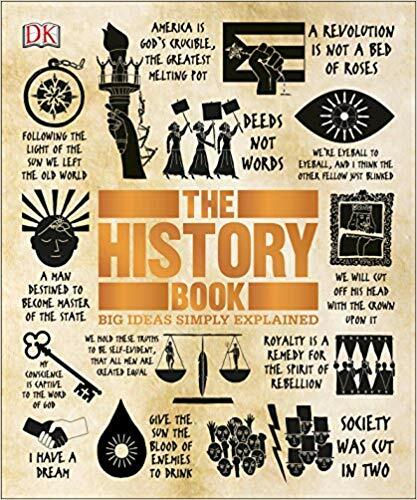 It contains many of the most loved stories from the Old and New Testament, including Noah’s Ark, The Sacrifice of Isaac, The Prophet Isaiah, The Birth of Jesus, John Baptizes Jesus and so many more. The stories are beautifully told with illustrations that are respectful and appropriate for the content. It is easy to read out loud if you are reading to a young child as well as being easy for an older child to read on their own. As we head into the season where many children will be receiving their First Communion, this is definitely a book to keep in mind to gift them. It is definitely a special keepsake, that they will be able to cherish for years as they learn more about their faith and the community that they belong to. You can purchase a copy of this Bible on Amazon and Indigo.